In Episode 43, Kathryn address a question with two parts. The first part addresses what to do when it feels like the urges last too long, and you feel like you need to binge just to make them go away. 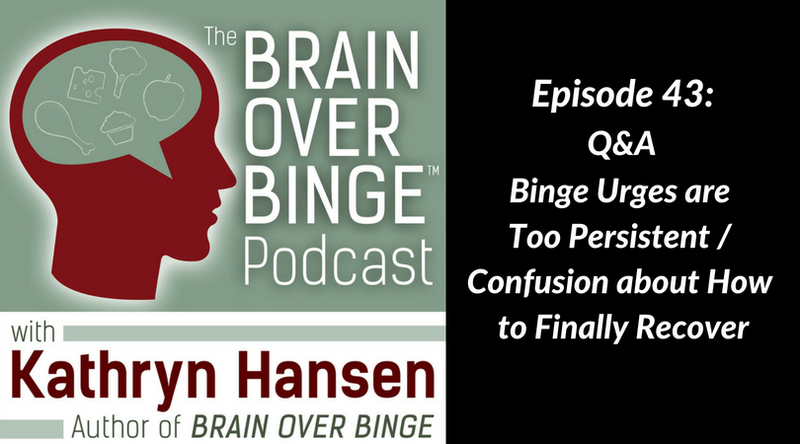 The second part explains how to move forward when you feel confused about how to finally end binge eating.